Eeerrr the xbox one looks soo pifff! If the Highlander and the phrase "There can be only one!" are not heavily used in the XBox One ad campaign, I will be disappointed. Lo del diseño de la nueva Xbox, es inspirado en la NES o es que el creativo de Microsoft estaba de guasa? "Exclusive content on FIFA 14 Ultimate Team (pause for applause) ONLY ON XBOX"
I don't care about the new Xbox. Xbox One has am Air Force One-ish ring to its name. 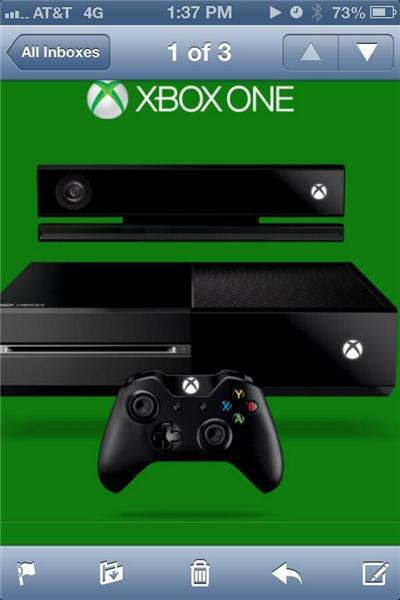 E o sucessor do XBox se chamará: "XBox One". I'm at work so I missed it.. Anyone wanna give me a run down of the #Xbox conference I know its called the #XboxOne but what else?? So you can now have 1000 friends on Xbox One? I think it's physically impossible to have 1000 friends that you actually speak to. Xbox One has Dynamic Achievements so that memes can be Achievements as they become memes or something. Nada contra o novo Xbox. Por sinal quem quiser me dá um, tô aceitando. Novo ou velho!